Forget the Bridge! 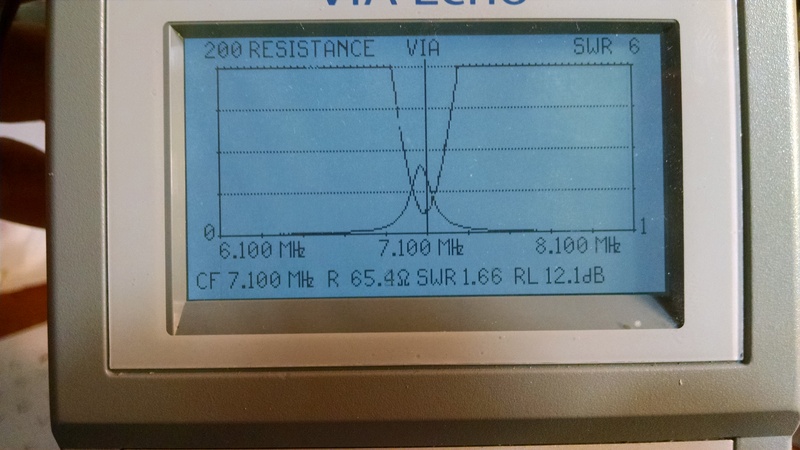 Determine SWR with a Resistive Divider. A resistive bridge type SWR meter doesn’t actually measure SWR – it measures impedance mismatch or impedance(however you want to look at it). SWR is calculated by the ratio of two volatges on the bridge. The SWR and impedance only relate correctly if the bridge impedance and feedline impedance are the same(50 ohms typically). A resistive bridge works fine but you can do the same thing with a simple resistive divider. When using a divider, you can use any value resistor you want(50 ohms in my design) and as long as you know the characteristic impedance of your feedline, you can correctly calculate the results with any feedline impedance (not just 50 ohm coax).By measuring three voltages across the divider(Vs, Vr and Vz), one can easily derive: total Impedance, resistive impedance, reactive impedance, SWR, and return loss. A resistive bridge is most accurate when mismatched, but the resistive divider is most accurate when match is optimal. So ask yourself would rather know more accurately what’s happening between SWRs of 1:1..to 2:1 or when it’s 3:1 or greater? The only drawback of this method is that you cannot determine the sign of reactance(capacitive or inductive) directly, but you can derive all of the magnitudes. This is because when you convert the voltages to DC values by means of diode detectors, all phase information is lost. 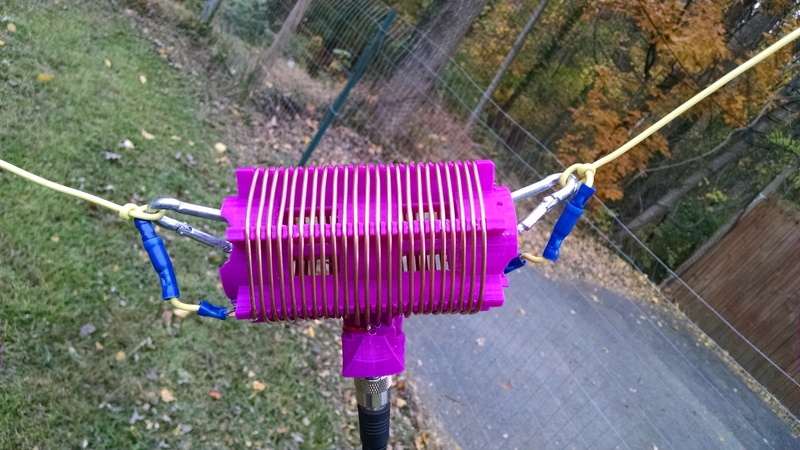 I decided to build a small and reasonably simple antenna analyzer for 1 -30Mhz. I wanted it to provide accurate measurement of SWR, Total Z, R and X of the ANT. Simplicity in operation and moderate power consumption were also design goals. The schematic below is what I came up with. 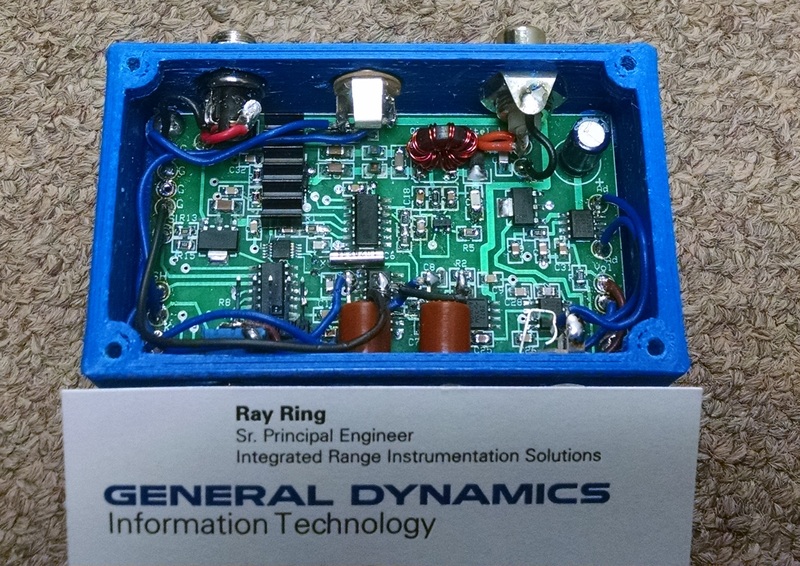 I have etched a circuit board and will build the analyzer in early 2016. I will update the post as I make progress. 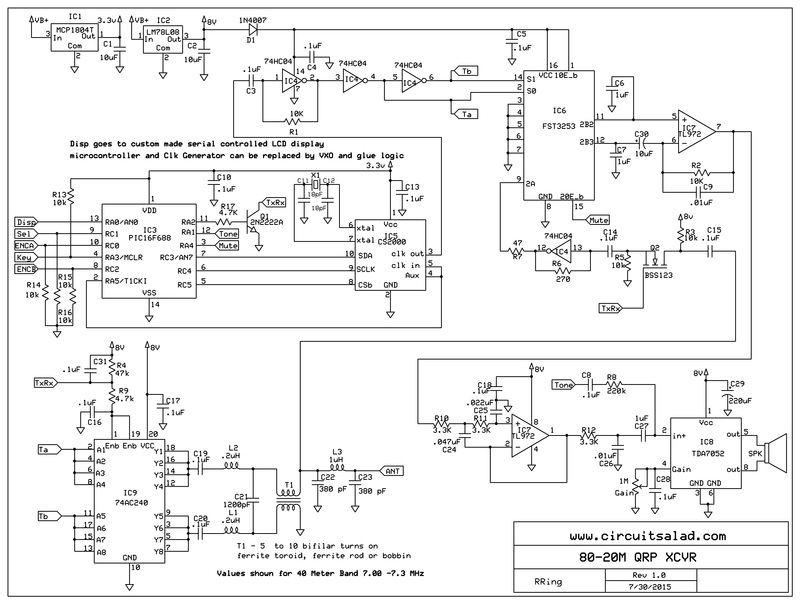 Expect some values in the schematic to change. Below is a discussion of the math required to derive all of the analyzer measurements. Vr requires a floating measurement, Vs and Vz are ground referenced. Using the Voltages Vs, Vr and Vz, one can create a triangle related to the classic power factor triangle where the hypotenuse(Vz) can be seen to be shared and the cos(ang) allows one to find the reactive and real components of the impedance. 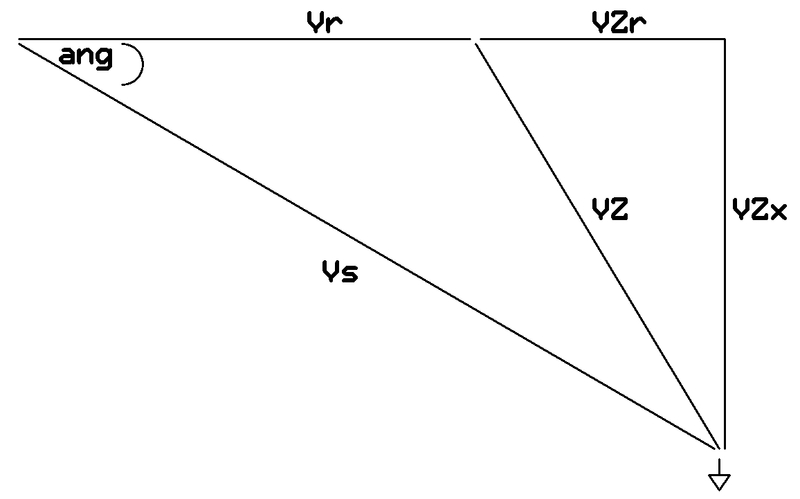 One is required to find the cos(ang) using only the lengths of the sides of the Vz, Vr, Vs triangle. 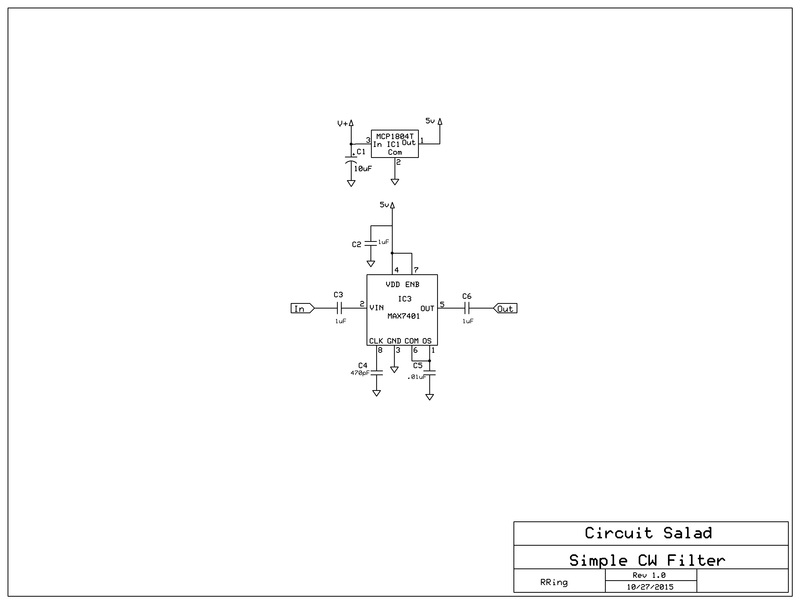 These values are the measured voltages from the diode peak detectors shown in the schematic. The law of cosines provides the solution. With these equations we now have total load impedance Z, the resistive component Zr, and the magnitude(but not sign) of the reactive component Zx. Note: R used in Γ calculation is the characteristic impedance of the feedline not the R used in the divider (in my case they will be the same: 50 ohms). 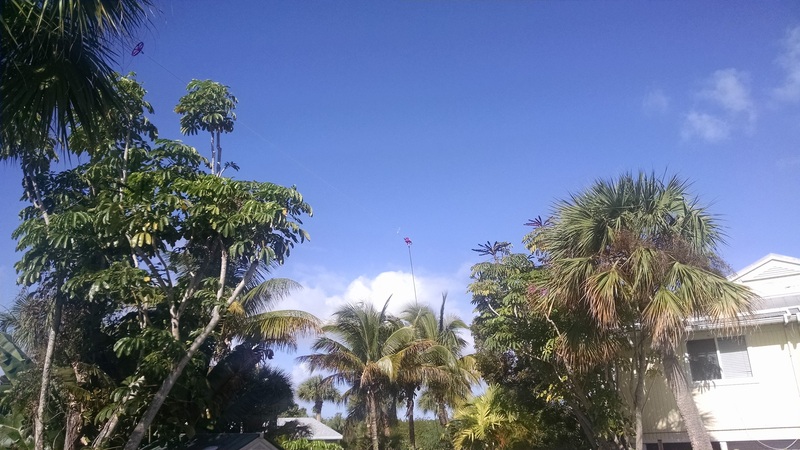 I used my new XCVR and my short portable dipole down in Ft Pierce Fl, over Thanksgiving. The rig, antenna, feedline and tools all fit in a camera bag and it was easy to setup. I made some 800- 1000 mile contacts on 1 watt and drank a few beers and smoked a stogie while doing it! 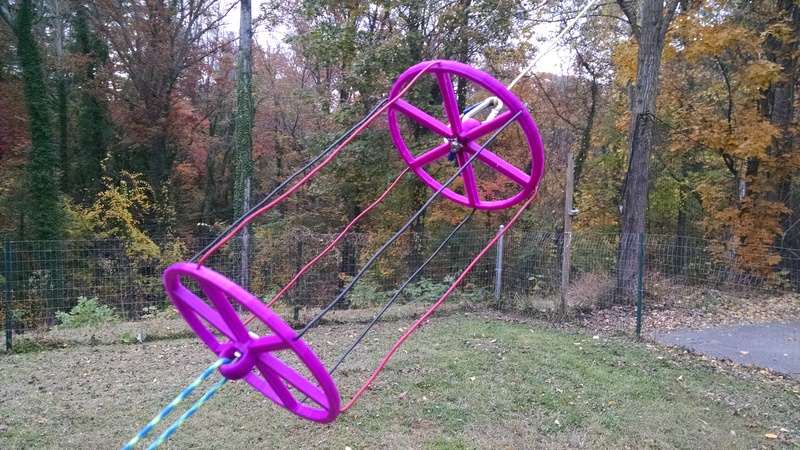 In my continuing saga of antenna experiments, I have designed a 30 (a little less than 1/2 normal size) foot long 40 meter dipole that is a solid performer. The goal was to make it short enough that it would work well in portable applications as a vertical or sloper hung from a tree. It is center fed with one continuous loading coil tapped at the center two turns to a SO-239 type jack for coax. 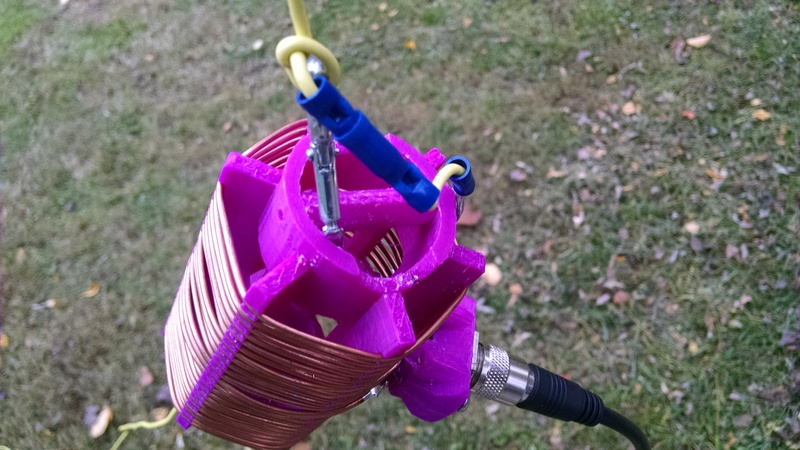 A balun is not necessary because of the tapped connection to the loading coil. Along with the loading coil, there are two cylindrical capacitive hats which replace about six feet of wire each. The hats improve current distribution, bandwidth and efficiency, allowing for a smaller loading coil. The hats are lightweight and flatten out for very easy transport. The antenna uses carabiners and inline connectors to allow quick connect and disconnect for setup and removal. The Loading Coil and Hat frames were printed on my 3D printer using a low RF loss plastic material – High Impact Polystyrene(HIPS). Here is a link to the STL files which can be used to print these forms. An STL file is the standard format used by almost all 3D printers. If you do not have a 3D printer – there are online services available to 3D print the files as well as some print shops and office stores. Other plastics could be used such as ABS but use HIPS if you can. 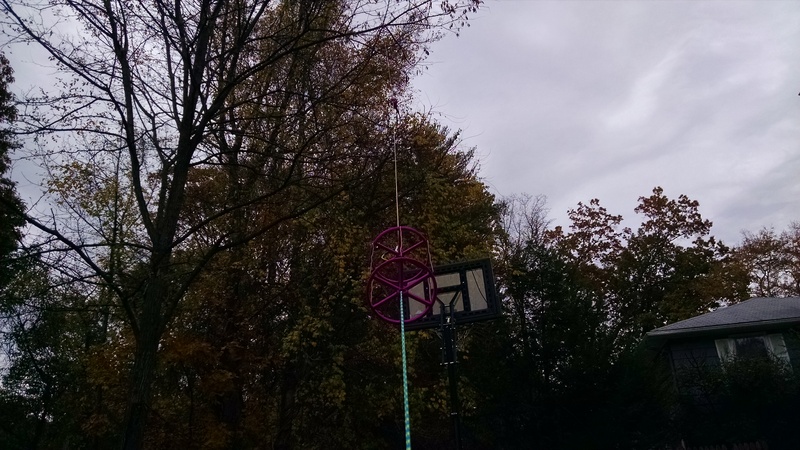 Because the antenna is relatively small you can mount it vertically or nearly vertical with the center relatively high above ground for better efficiency so besides being small, the antenna has some benefits with respect to ground losses and radiation angle (depending on how you mount it). The hats are 6 inches in diameter with the wire soldered together in the center and then pinned with a 8/32 screw and washer. 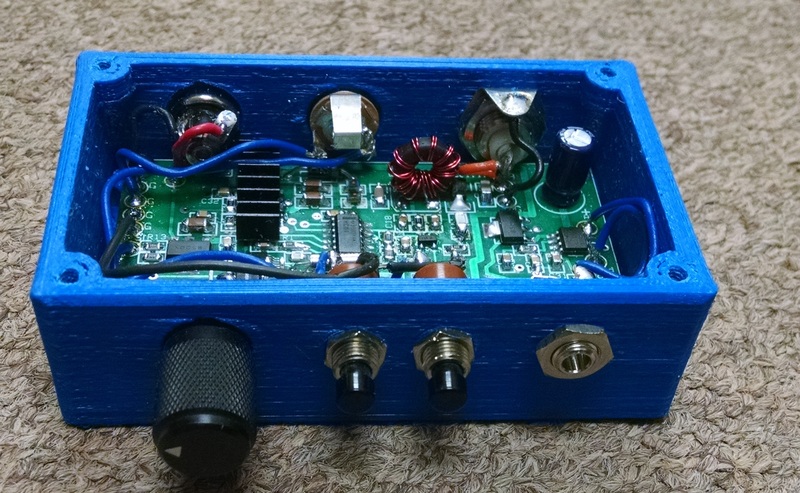 I wanted to add more audio filtering to my 40 meter CW transceiver https://circuitsaladdotcom.files.wordpress.com/2015/08/qrpxcvr2.jpg but didn’t want to put much effort into it, so I used a MAX7401, 8 pole switch cap filter IC. This IC requires just a few discretes and has an extremely low passband ripple and group delay, as it is a Bessel configuration. 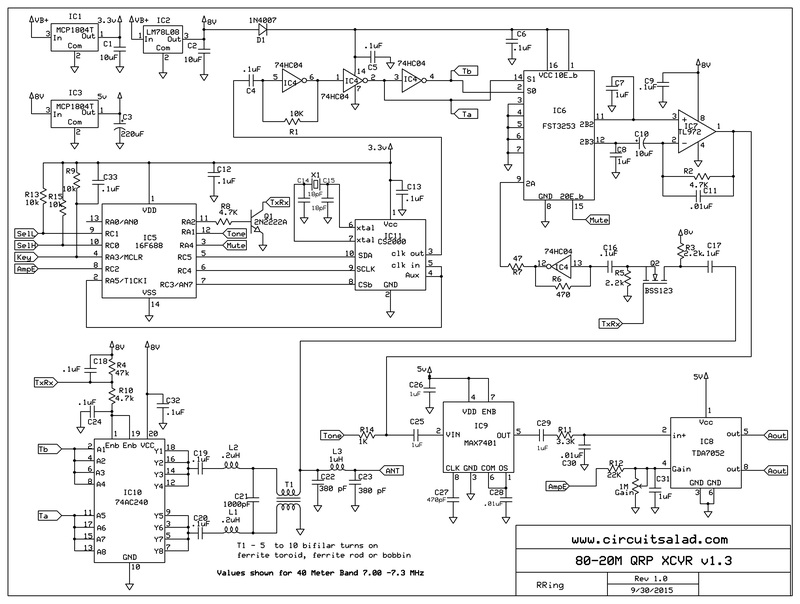 I have used this IC before in some of my guitar effects pedals. It has worked very well in my other designs. The knee of the filter is adjustable via a capacitor(C4). 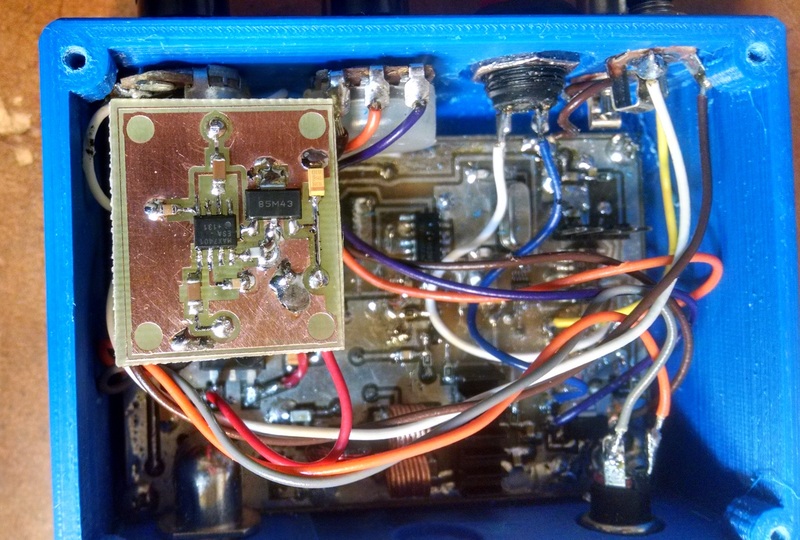 To integrate into my receiver, I simply connected the input and output of the filter across the input capacitor(C27 removed) connections to the final audio amp. It may be desirable to put a single RC low pass filter stage in series with the output of the switch cap filter to remove clk artifacts on the output. (clk is 100X greater than the roll off frequency). Performance is very good with clear tone and no ringing. Below, I have a video demo of the XCVR utilizing the filter. 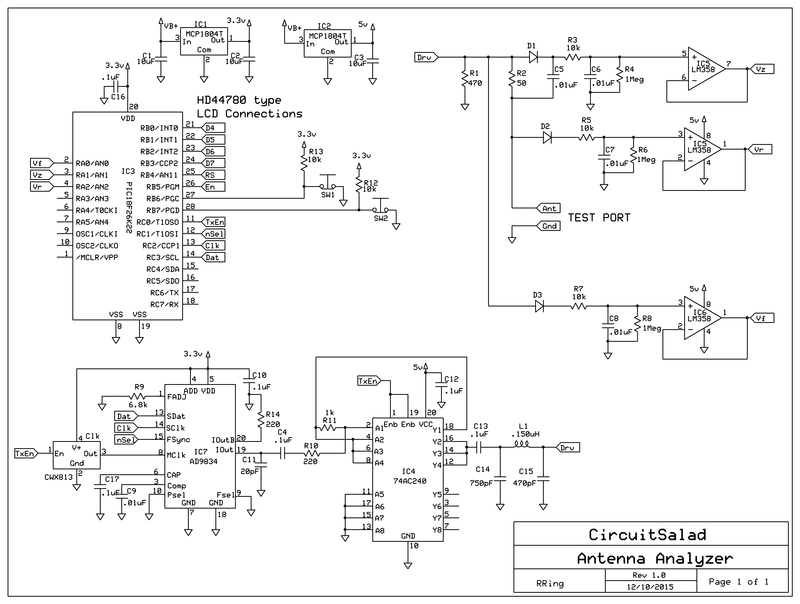 This version of the XCVR is tuned via a POT connected to the microcontroller A2D converter instead of a rotary encoder. It also has a push button to shift in 5Khz increments. When the button is depressed for longer, the frequency in KHz is sounded in morse code. Only the KHz is sounded, so for 7.100 Mhz for example, only 100 is sounded in morse code. In the video you can also see my cool 3D printed Code Key. It uses rare earth magnets instead of a spring for key action. It’s a really delightful bug.